We get a lot of freedom in games these days. But we kind of take it for granted now, especially in the name game. 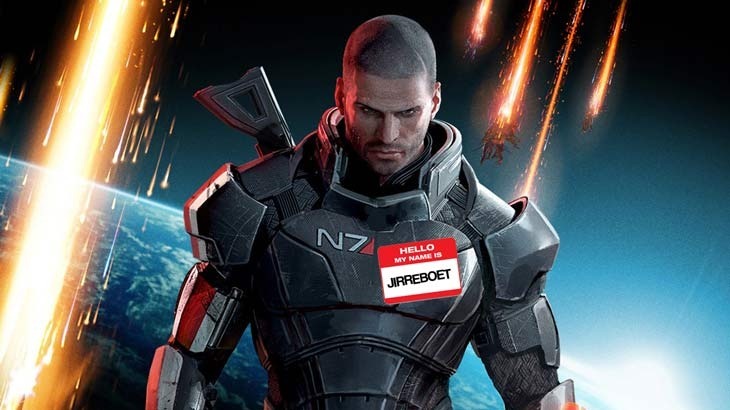 Most games these days that offer open worlds want you to give your avatar a unique handle, something that Mass Effect encourages. 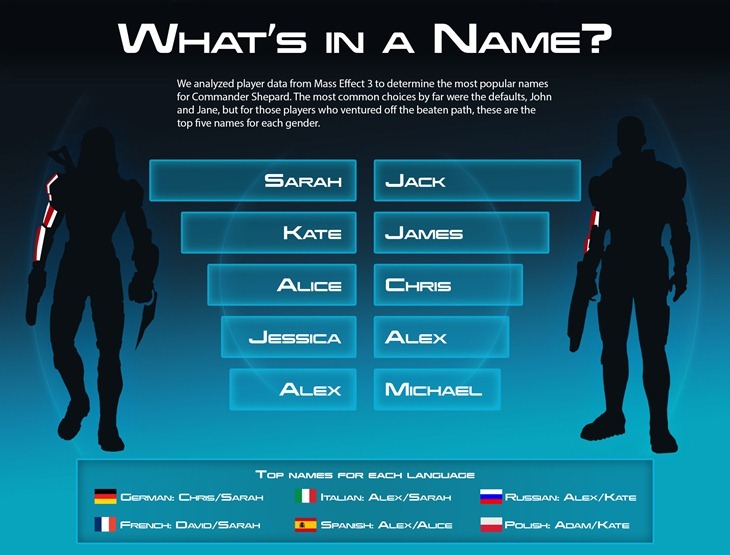 And according to Bioware, these were the most popular names in their previous game in that series. Reaping data from Mass Effect 3, Bioware revealed that the top names chosen for Comamnder Shepard were Sarah and Jack. Yep, that’s pretty imaginative. Personally, I named my galactic hero Bloodfart McTitgiggle, because I’m a horrible excuse for a human being. So what were the other more popular names chosen then? The equally imaginative Sarah, Kate, Alice, Jessica, and Alex for FemSheps, ranging from most to least popular. For dudes, it was Jack, James, Chris, Alex, and Michael. Sarah also happened to be a popular choice in other parts of the world for some reason. It was the default name for Italian, French and German players, while Jack remained a firm favourite in English speaking nations. Enh. I’ve got several playthroughs of Mass Effect 3, with three other characters by the name of Blue Shepard, Green Shepard and Red Shepard in case I need to make a highly specific game-ending choice. What did you name did you give to your Shepard?